Love them or loathe them, there’s no question the pokies have become part of Australian culture. This fact is not taken lightly by many Australian politicians, who have made it their personal mission to see gambling laws are reformed to protect vulnerable members of the public. We take a look at the major players in the anti-pokies game and what they’re doing to take a stand against the pokies and the gambling industry giants. Nick Xenophon is the first name which comes to most people’s minds when thinking of anti-pokies crusaders. This South Australian senator is the leader of his own political party, The Nick Xenophon Team (NXT), where he is well known for loudly and publicly campaigning against the pokies. 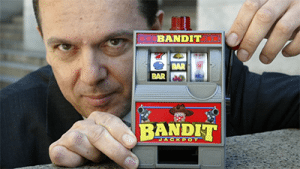 According to his website, Xenophon says he first noticed the damage poker machines were causing while working in his suburban legal practice during the mid-90’s, inspiring him to run for state parliament in 1997 under the ‘No Pokies’ political party. In 2010, Xenophon worked with the independent Productivity Commission to recommend a national pokies reform where the maximum bet per spin would be capped at $1, with hourly losses at $120. The reform recommendation was thrown out in 2012 by both the government and opposition, with Xenophon reviving calls for the national reform again in 2016. Along with the demand for $1 maximum bets, Xenophon is calling for a ban on gambling advertising during sporting events. He helped create and launch the ‘Pokies-Leaks’ campaign in September 2016 alongside Greens senator Larissa Waters and independent Denison MP Andrew Wilkie, calling for whistle-blowers to send insider information about the pokie machine industry. Xenophon is also publicly supporting the case against poker machine manufacturer, Aristocrat Technologies, which alleges the machines purposely trick players into thinking they’re winning when the opposite is true. Andrew Wilkie is a former army officer and intelligence analyst turned independent member of the Australian Parliament for Denison in Tasmania. He was previously a member of the Australian Greens party, but resigned in 2008, citing the party’s lack of professionalism as his reason for leaving. During the 2010 Tasmanian state election, Wilkie made the removal of pokie machines the main focus of his campaign. After the election, he openly declared he would support the Australian Labor Party in return for the then Gillard government making a commitment to reduce problem gambling. The commitment, which was signed by Gillard, agreed to implement mandatory pre-commitment for all pokie machines by 2014. He withdrew his backing for the Labor government when they broke the agreement, citing lack of support and technical difficulties as the reason. In 2016, Wilkie joined forces with Xenophon in the bid for a national pokies reform. He recently introduced a new Bill to parliament to reinforce the Productivity Commission’s recommendation of $1 bets and mandatory pre-commitment. 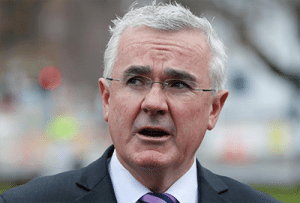 Wilkie believes the state governments are amongst the worst of all pokies addicts due to their reliance on funds generated from gambling losses, and openly criticises the Tasmanian government for their involvement with pokies revenue and the gaming industry. 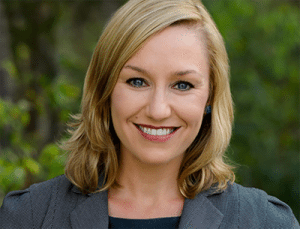 Larissa Waters is an Australian Greens Senator for Queensland, who was elected unopposed to serve as Deputy Leader of the Greens in 2015. Amongst other duties, she is currently responsible for the Greens portfolios of Women, Gaming, Environment & Resources, Mining, Tourism and Climate. While not as focused on the pokies as Xenophon and Wilkie, Waters is part of the Pokies-Leaks campaign and has established some responsible gambling campaigns of her own. Under the Greens’ pokies initiative, Waters is calling for all poker machines to have $1 per spin limits, a load up limit of $20 at a time and jackpots capped at $500 by 2020. During the hung parliament, the Greens secured the establishment of the Australian Gambling Research Centre, which Waters believes has provided clear evidence taking action on betting limits is likely to make a positive impact on problem gambling. She is fully supporting the Alliance for Gambling Reform’s lawsuit against Aristocrat, and has called for a halt on the Palaszczuk government’s “obsession” with gambling. Tim Costello is an Australian Baptist Minister and brother of former treasurer of Australia, Peter Costello. 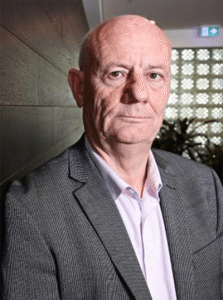 He served as CEO for World Vision for 13 years before stepping down in 2016, and is also chair of the Community Council of Australia, the Australian Churches Gambling Taskforce and the National Australia Bank’s Social Responsibility Advisory Council. 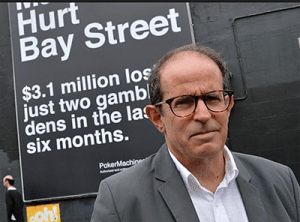 Costello is the major voice for the Alliance for Gambling Reform, a collaboration of organisations including churches, local councils and community groups which campaign for reforms within the gambling industry to reduce harm caused by problem gambling. The Alliance is 100% funded by donations and has no affiliation with any political party. Paul Bendat is an interesting figure as he’s an independent philanthropist who is using his own money to campaign for a national pokies reform. As a former lawyer, he was inspired to take a stand against the pokies in 2006 after Woolworths chief executive Michael Luscombe told an annual meeting he had a vision for the company’s gambling venues to become family entertainment centres. Bendat started inspecting pokies venues on his own time, and publicly recording his research on his website. He has taken some radical approaches, including running a series of advertisements in Victorian suburban newspapers accusing former gaming minister Tony Robinson of not helping take a stand against problem gambling, which resulted in Robinson losing his seat. He also paid to have billboards installed around Victoria calling for state MPs to reform the states gambling laws. Bendat has personally funded Monash University studies into the positive effects a pokies reform could have. Like Wilke, Xenophon and Waters, Bendat is supporting the Productivity Commission’s recommendations for $1 bet limits and capping losses at $120 per hour. Looking for a safe place to play online pokies using Australian dollars? We recommend checking out Raging Bull Casino, our top-rated casino site for players from United States, which has some excellent welcome bonuses available for new players along with hundreds of real money pokies to choose from.